Recently, the CFP Board, put stricter standards in place by requiring Certified Financial Planning practitioner to “always place the client’s interests ahead of their own”. The new standard also requires CFP’s to disclose potential conflicts of interest and how they are paid (including commissions and cash bonuses) so that the clients can make more informed decisions. This is seen as being great for the consumer. State Farm seemingly takes issue with these new standards. The large insurance has requested 270 of its agents who have the CFP designation to relinquish the certification. A State Farm spokesman said that the new standards conflict with the legal precedent regarding the role of property casualty insurance agents”. State Farm was evidently ok with the previous lower CFP® standard of providing “reasonable and prudent professional judgment”. Insurance agents are frequently in a conflict of interest situation. If an agent knows that the client can get the same coverage for less with another company/agent, it is a conflict of interest between what is best for the agent (earning a commission) and what is best for the client (getting the same coverage of less elsewhere). Few if any agents would ever do this type information and is precisely why it is up to the consumer to comparison shop from time to time. Many State Farm agents also sell mutual funds. Conflicts of interest are common here as well. There are different types of mutual funds: A class, B class, C class that have different compensation and charges with each. There are also those with no commission. The new higher CFP® standards may well have had an impact on investments sold by the State Farm agents with the CFP designation. 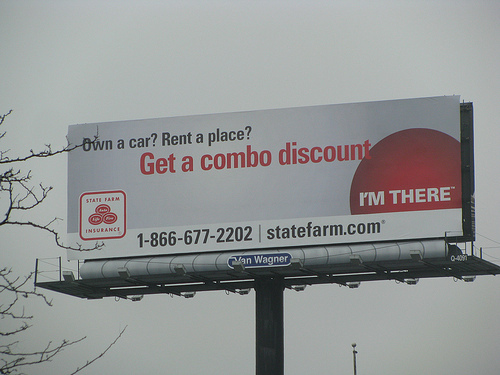 It seems that State farm prefers to keep their client in the dark about conflict of interest and does not agree about doing what is always in the client’s best interest. Of the 700,000 people who call themselves financial advisors, less than 60,000 have met educational, experience, continued education and ethics requirements, passed a 10 hour test and earned the right to use the CFP® marks. Consumers that want to be treated fairly, objectively and with transparency should look for an adviser that has earned the right to use the CFP® marks.